The jury has spoken. 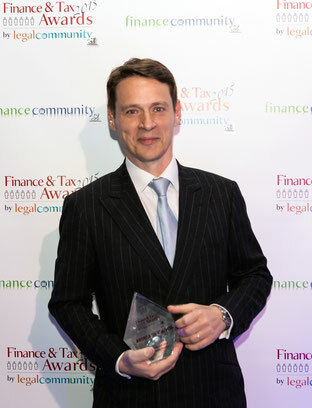 Andrea De Matteis – Founding Partner of DE MATTEIS Studio Legale - is Legal Community’s LAWYER OF THE YEAR 2015 for mobile and electronic payments. The announcement was made on Tuesday, March 24th at a gala ceremony held in Milan, Italy. He has only recently founded his boutique law firm. In this sector he has matured a profound specialization in the field of mobile and electronic payments in addition to e-finance and finance technology. This accolade follows on the recognition that both Andrea and the firm received in 2014 from leading international legal guides such as Chambers & Partners and IFLR1000. LegalCommunity is one of the most important publications for the Italian legal sector – and this award ceremony is the only one on the peninsula dedicated to the Italian legal Banking & Finance sector. Other winners on the night included international firms such as Allen & Overy, Clifford Chance and Sherman & Sterling as well as Italian firms such as Chiomenti, Gianni Origoni Grippo, and Legance.